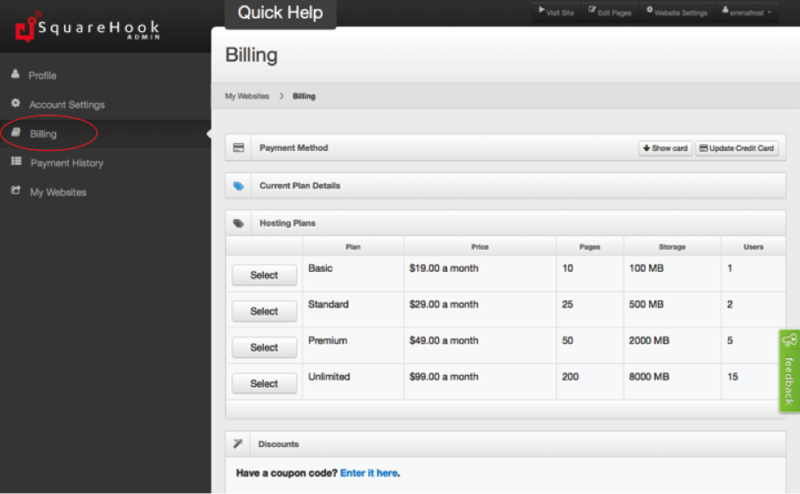 Select the BILLING option in your left side navigation. 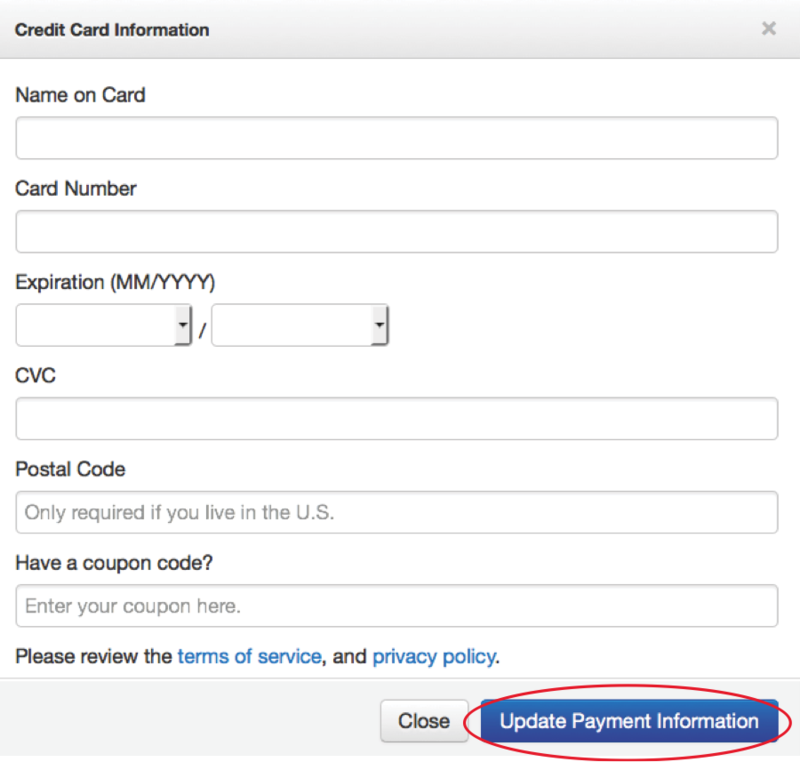 Populate the credit card information, and be sure to select the UPDATE PAYMENT INFORMATION at the end. 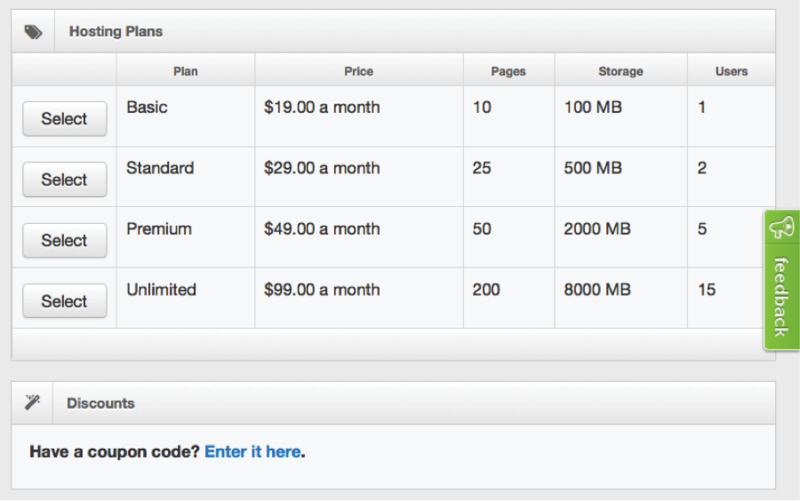 Select a Hosting Plan by hitting the button next to the plan of your choice. You can add it a coupon code to discount the hosting subscription by entering it under the DISCOUNT section and select REDEEM.